Discussion in 'Pins for Sale/Wanted' started by Spr175psu, Mar 21, 2019. Hi Everyone, I recently purchased a complete New Fantasyland Grand Opening Press Set. 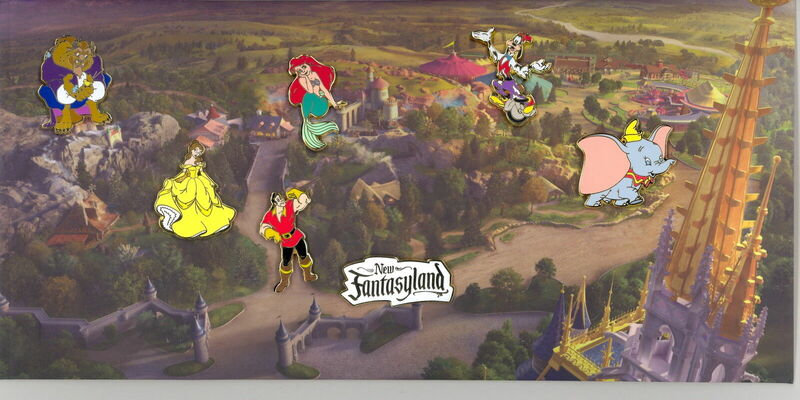 I only need Gaston and Ariel though, so I'm offering the others up to the community. They are all incredibly rare and impossible to find. Please reply to this thread if you are interested. Cost and Wants/Trades ratios are listed below. Prices include shipping and Paypal fees. Not looking to trade them at this time.